A recent study examined whether consuming sugary products (including sugary drinks) causes an improvement of mood and alertness - a "sugar rush" - and found that to be a total myth. After reviewing 31 studies (in which 1259 individuals participated), the researchers found that people do not get a "sugar rush" with an improvement in mood from consuming sugary products - instead it makes people feel less alert and more tired within an hour of ingestion. Sugar does not improve mood and it can make people less alert and more tired after its consumption -- according to a new study by the University of Warwick, Humboldt University of Berlin, and Lancaster University. 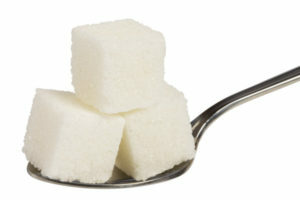 ...continue reading "No Such Thing As A Sugar Rush"